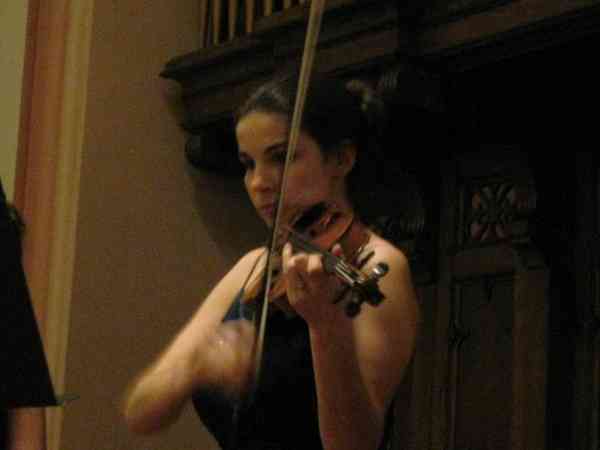 Liana began studying Suzuki violin at 3 years of age with Charlotte Winter in Port Dover, Ontario. She later went on to study with Henry Janzen in Guelph, Ontario and Mel Martin in London, Ontario. In 2000, Liana undertook her Bachelor’s of Music at McGill University, studying with Yehonatan Berick and Sonja Jelinkova. She has since returned and earned her Bachelor’s in Music Education. Liana now maintains a bilingual Suzuki violin studio as well as teaching music in a school in Montreal, Quebec. She is also a Suzuki mom to two young boys studying Suzuki cello and violin.